Picture this, you’re at the gym and you see some guy on the bench press. He’s an average looking guy that looks like he may lift, or he may look like he doesn’t even lift, but that’s beside the point. Okay, so he’s benching and is struggling to get some reps in with 135, or perhaps even 185. 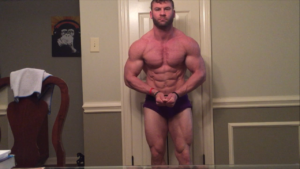 It’s a little ugly, and there’s a bit of a grind, but he gets his reps. Now this guy is done, and he moves on to do a second movement, something he thinks is either going to help his bench press, or help him to develop more muscle mass. 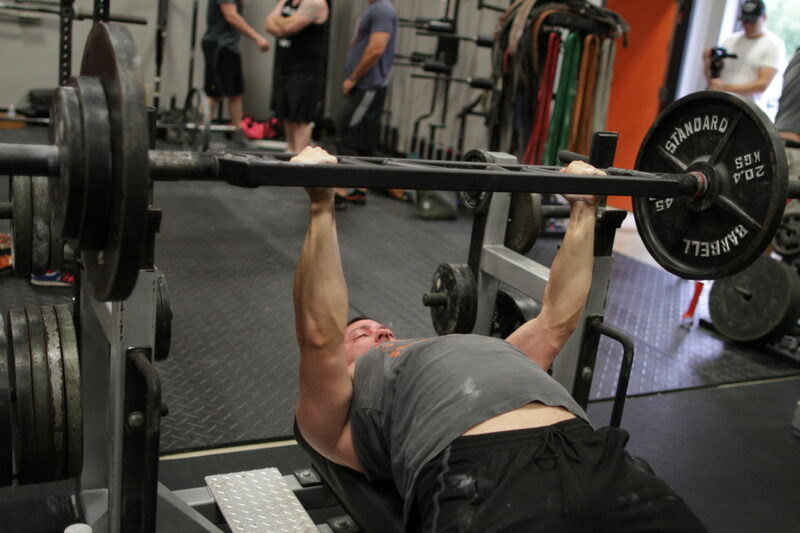 He sits down on the Hammer Strength bench press and plate after plate he loads up on it. He’s up to 4, 45lb plates per side on this machine. Wait, hang on a second! Did you just say 4 45’s per side?! Yes, I did. The guy that could barely bench press 135 for more than 8 reps is now repping 8 plates on the hammer strength chest press. Wow! Impressive huh? Well my friends, that is what we call King of Accessories. This is something that some of my training partners came up with some time last year to describe someone that thinks they can make up for their lack of strength on the big 3 by going “hard” on some type of accessory movement. The truth is, in strength sports such as powerlifting, nobody is impressed or cares how much you can leg press. It doesn’t matter how much you can curl, or how much you can do on tricep cable pushdowns. 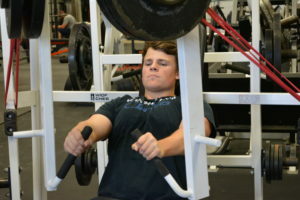 In powerlifting, what matters is how much you squat, bench, and deadlift. Of course there are ways of improving these lifts, and one way is to create more muscle mass. A great way to build up some leg mass is with using the leg press. A simple, yet very effective method for not just building muscle, but strength as well. Here’s where people falter. They load up entirely too much weight and have about a 3 inch range of motion. Again, meet Mr. King of Accessories. This really isn’t doing much for you. Put your ego aside and lighten up the load a little. Remember– nobody cares how much you leg press. Focus on a better range of motion and a better stretch for the legs; it will definitely pay off. If you want to get bigger and develop more muscle then you need to know when to go heavy, and when to leave your ego at the door. The amount of weight you are using is one way of not only developing more muscle, but also more strength. Typically, a really heavy movement that is meant to build both of these up is best done with a major compound movement, i.e… squat, bench, and deadlift, although there are plenty more variations out there. If you are trying to bring up a lagging muscle group, or you are simply just doing a particular movement that focuses on a certain muscle group, it is imperative that you are able to feel that muscle working. You have to think like a bodybuilder. Don’t misunderstand me here, there are plenty of professional bodybuilders out there that are incredibly strong, especially on the big 3. However, when they are doing a more isolated movement such as a curl or pressdown, they are really focusing on feeling the muscle contracting the weight. You can either choose to do a movement and have only 40% of the intended muscle group working and 60% of other surrounding muscles doing the work, or check your ego, lower the weight and let 95% of the intended muscle group do the work. I can promise you from experience that the latter will pay off ten-fold. Feeling a muscle contract and isolating it isn’t an easy thing to do, if it were, then almost everyone at your gym would be jacked, and that’s just not the case. However, there are a couple of ways to make this easier on yourself. One way is to have a trainer, friend, or training partner give you what is called proprioceptive feedback on the muscle you are tying to target. In other words, just have them touch or poke the muscle you are trying to work. This has done wonders for my own training, as well as my clients. Another way is to try to pre-exhaust a certain muscle group, so that you can let another muscle group do most of the work in a movement, or keep another muscle group from taking over in a movement. For example, you’re struggling to feel a contraction of your chest. You could start off doing some machine cable flys, followed by some body weight push-ups. After you have done this, your chest should be nice and pumped, then you can move onto some low incline dumbbell bench press. Since you have already pre-fatigued your chest, it will keep you honest and conservative on the weights you are using for the dumbbells. Once you begin you should focus on getting a good stretch in your chest coming down, and pressing back up and squeezing with you pecs, not just driving up with your shoulders and triceps. Give it a shot. As I said before, isolating and developing a good connection with certain muscle groups is difficult, but can be achieved overtime with practice. Use small weight to train small muscle groups. Put your ego aside and focus on quality contractions with a controlled movement. You don’t want to be crowned the King of Accessories, trust me. 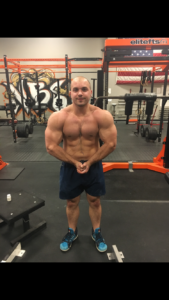 If you have any questions in regards to methods involved with building muscle and developing a better ability to isolate certain groups, please feel free to ask. I wish you continued success in your journey of strength and size.